Every week we make a bit more progress towards returning back to something that resembles normal, and this week the big step forward was the reopening of the state park, T.H. Stone Memorial Park, which has been closed since the storm and giving birth to two break away islands. (Tampa Bay Times seems to think Michael was five months ago when it was only three, but whatever. They apparently have a casual attitude towards fact-checking). We closed two sales and wrote up two new contracts. Sellers put ten new properties on the market, but only adjusted one price. 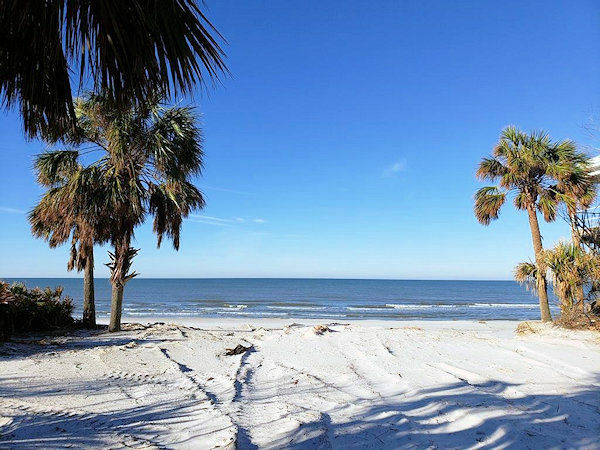 Our overall inventory swelled by seven, closing the week at 234, with 63 houses and 171 lots listed for sale in the Cape San Blas, Indian Pass, and C-30 Corridor MLS market. Let’s see what buyers are looking for. The first of our two sales is on the Cape on Barbados Drive in Turtle Dunes, slightly north of Scallop Cove. This irregularly-shaped, third-of-an-acre first tier lot listed for $185,000 went under contract in late September, shortly before Michael. I look at this photo through totally different eyes now and with a greater appreciation for what we had. The homes all look so nice and tidy with no blue tarps on the roofs, no debris piles surrounding them, siding in place rather than wide expanses of Tyvek, and so much greenery. I know much of this will be restored to its former glory in time, but it is easy to linger on these images and long for that time to be now again. Anyhow, the lot last sold in the summer of 2015 for $135,000, and closed on Monday for $176,000 with the buyers using conventional financing. 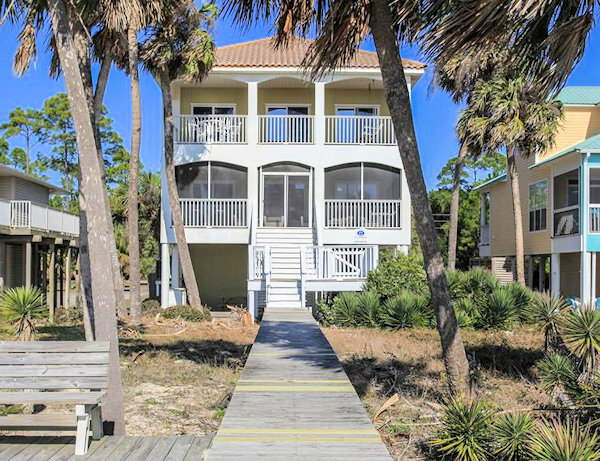 We’ll leave the Cape and head east on C-30 for our second sale which is this 3-bedroom, 2-1/2-bath, 2,160 square foot gulf front vacation rental home with an in-ground pool that was listed on October 3 for $849,000, exactly one week before Michael. It suffered a fair amount of storm damage such as the enclosed ground level area being washed away and roof damage, and on the first of December the seller changed the asking price to $699,000 “As Is”. That attracted a buyer shortly thereafter and it went under contract, but the deal fell apart and it came back on the market on December 22.The home was built in 1998, and the seller bought it in the summer of 2004 for $1.625M. Last week it went under contract again with that same “As Is” list price of $699,000, and on Friday this week it closed for $535,000 cash. 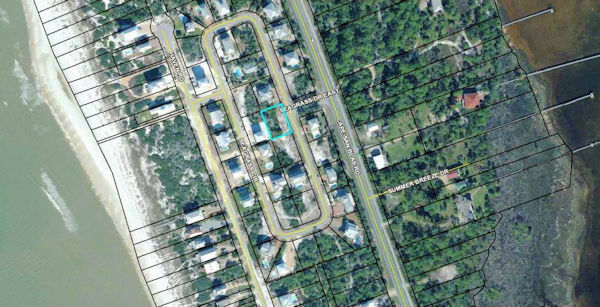 Now on to our two new contracts starting with this 65′ wide gulf front lot on Windy Lane in Paradise Gulf West a short distance south of Rish Park on the Cape. Located in a VE flood zone, the lot had a vacation rental house on it prior to Michael. The owners listed the lot on Monday this week for $525,000 and accepted a contract on it three days later.Here’s a link to the house that no longer is. The second new contract is on a fourth tier, gulf view lot in Seagrass listed for $149,000. The owners acquired the 88′ by124′,quarter-acre property in mid-2013 as a bank-owned sale for $72,500. Prior to that, it had sold in early 2005 for a whopping $435,000. And just like that, we’re up to date. No doubt about it, this market has re-awakened and properties are moving again. We need inventory to meet demand. If you’ve been considering selling, by all means please give me a call; we’ll take a look at what you have and I’ll provide a free, no-obligation estimate of current market value for you to see if the time is right for you. Call or text me at 850-22-5197 or drop an email to sherri@sherridodsworth.com. Whether buying or selling, or just wondering what the latest news is from here, I’d love to hear from you, so give me a call. As always, thanks so much for taking time to stop by today.